Eons ago, when the world was young and I wasn’t so bad myself, I hosted Oscar parties complete with (gasp!) gambling, guzzling, and gaping at the gowns. Nothing like a nice, alliterative party, I always say. Things change. I stopped giving the parties and attended those of others. 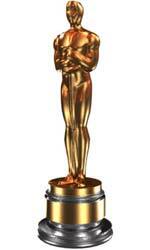 Still, I was enthusiastic about the Academy Awards: one year, between the announcement of the nominees and the actual presentation of the statuettes, I dashed off to many theatres near (and not so near) me desperately seeking each and every film up for almost any award. I drew the line at sound editing of an adapted screenplay, since this wasn’t on the ballot. Then, using this knowledge, I won the pool. So often, in fact, that I began to be embarrassed and started putting in ballots with aliases, such as Fleishman D. Moose. (See The Moose And Me for clarification.) Needless to say, this didn’t fool anyone. I vowed to never bet again. Besides the resentment of my fellow partygoers, the cost of going to all those movies was greater than the money in the pot, and by this time you could just Google what the odds makers were saying, use their choices, win, and where’s the fun in that. But the next year, I was in the hospital recovering from major surgery, and a friend who shall remain nameless called and read the ballot to me. I made my choices in a morphine haze, similar to the one I was in when I realized that I had won, and other than the moment when I was sprung from that hotel of horrors, this is my fondest moment of a not particularly happy experience. Time passed. I went to friends’ Oscar parties, often making mountains of meatloaf as my culinary contribution. But frankly, my dears, my enthusiasm was gone with the proverbial wind. For one thing, the outfits weren’t that interesting, once the stars figured out that you’d be ridiculed forever (the Internet never forgets) for showing up in an Annie Hall get-up, even if you were Annie Hall, or as a white swan (What! Not even a black one?) or looking like a ballerina in pink gladiator shoes, or in a Cher-on-Acid bare mid-riffed number, even if you were Cher. So the ladies toned it down and the result is that most of them look very nice. Nice is . . . nice. But not fun. Where is Bjork when we need her? As for the movies, what can I say. . . The King’s Speech was very moving, True Grit was well, gritty, and The Social Network was a surprise: How could they make an interesting movie about Facebook, that colossal waste of everyone’s time? They could, they did, and it’s worth seeing. Oh, and The Kids Are All Right was more than all right. But answer this: Are these on the same level as the truly great classics? 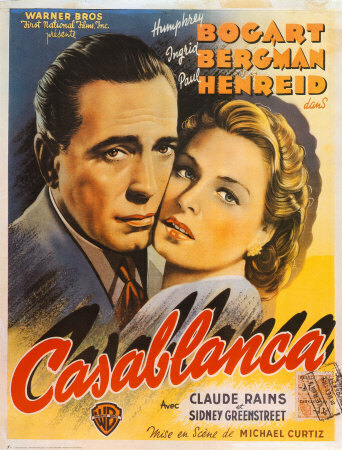 One word: Casablanca. Two: Annie Hall. Three: All About Eve. Four: Some Like It Hot. I was shocked (shocked!) to learn that the lovely young woman who runs the physical therapy center where my battered old tennis knee is being stretched, massaged and exercised back to health, has never seen these films. And hard as it is for a movie maniac to fathom, neither have most people. So if you’ve never experienced the above classics, not to mention films like Nashville, Citizen Kane, or Lawrence of Arabia, maybe you can get really excited about this years nominees, all ten of them. Ten. Now I really hate to get all cynical here, folks, but could the fact that just being nominated — besides being such an honor and all — promotes box office and DVD sales, and could THAT be the reason for the additional five, not that there’s just so many great movies out there these days. Hmmm. I didn’t bother to bet this year, and I’m not holding my breath for a breath-taking show. Although I will watch it, at home, wearing plaid pajamas and eating pizza. But wait! I haven’t actually seen the Oscars yet: that’s tonight. Maybe there’ll be some surprises. Like it won’t go on for 5 hours. Nothing, not even Wagner, needs to be that long! Maybe Anne and James will be brilliant. Could happen. Maybe Colin Firth won’t win. As if. Maybe Lady Gaga will show up and outdo Bjork. One lives in hope. Maybe a clip from one of the movies I haven’t seen will make me sit up and take notice. and I’ll revise my opinion about current cinema. The show wasn’t quite as long as usual. Shorter is good. Some of the gowns were more than nice: they were gorgeous. Gorgeous is definitely good. Anne and James were winning, so to speak, while not out-and-out winners, as an appearance by Billy Cyrstal and clips of Bob Hope made perfectly clear. I do now want to see Toy Story3 and Inception, expect to enjoy them, and am certain they won’t make my list of All Time Greats. Colin won —and, alas, Lady Gaga didn’t show! 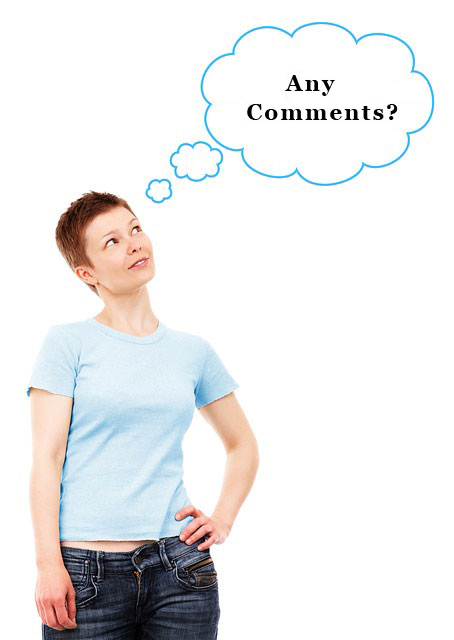 YOUR COMMENTS ON THE OSCARS? LIKE ‘EM? HATE ‘EM?